Wall upholstered in Los Angeles, including tufted wall and ceiling treatment. Photo taken by Manuel Lopez Jr.
Wall tufted and upholstered By Lopez Upholstery. 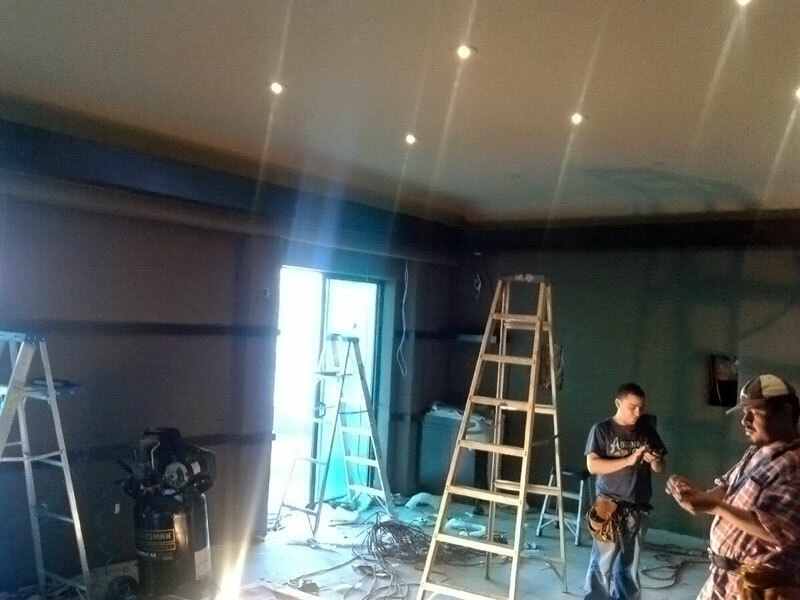 Photo taken by Manuel Lopez Jr.
Acoustic Wall Upholstery in Los Angeles. 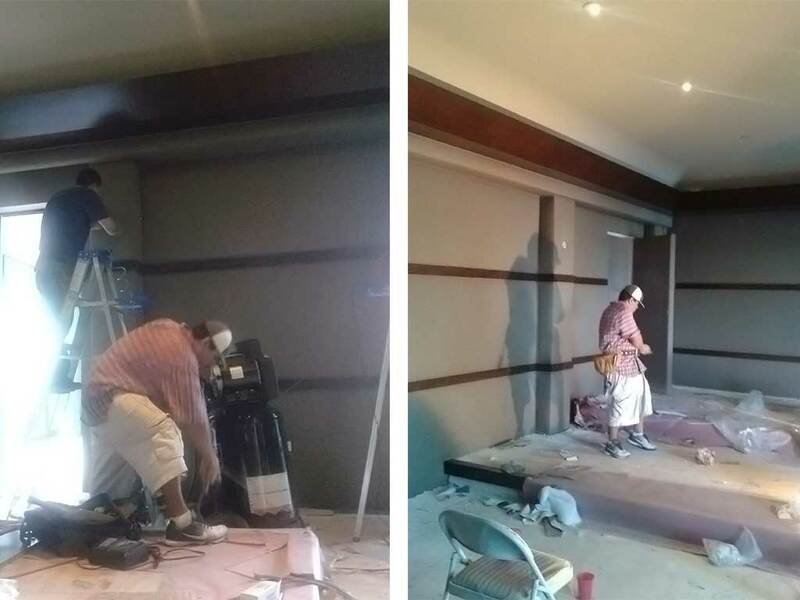 Professional wall acoustic theater services by Lopez Upholstery. This is a work station craftmanship local working in a wall building in Los Angeles by out team. One week of hard work. One more happy customer!!. Image Cedit: Manuel Lopez Jr. Mansion walls upholstered. Samples of wall upholstered we can upholster and reupholster for any mansion or commercial building. Wall Upholstery by Lopez Upholstery. Call (323) 706-9552 customer service FREE Estimate. From Residential to Commercial wall upholstery services by Lopez Upholstery. With over 25 years of experience upholstering walls in Los Angeles. 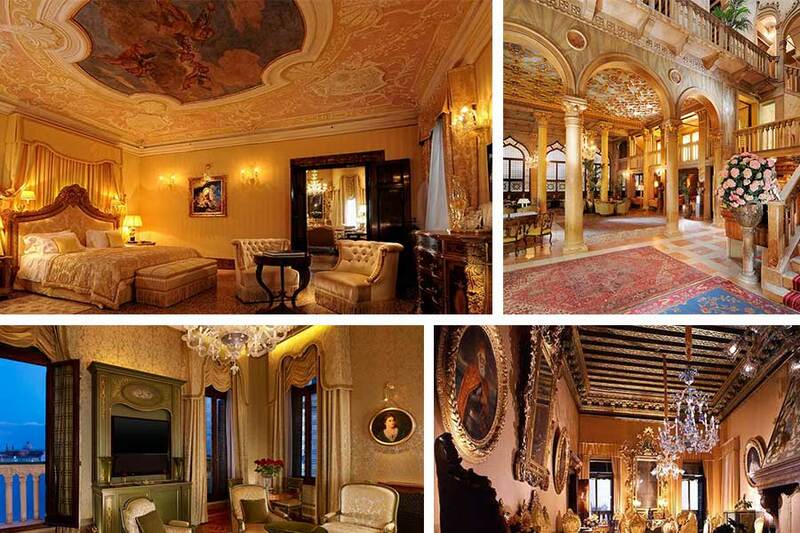 Insured and bounded by California Estate. Our experience comes form traditional and modern techniques that have been performed by our professional artisan Manuel Lopez Jr.
Our team is lead by decorator, artisan, professional and expert Manuel Lopez Jr., The master with the best techniques in wall commercial upholstery and reupholstery serving the greatest city of Los Angeles. Creation and perfection from business to business, elegance and decorating for commercial wall upholstery projects. 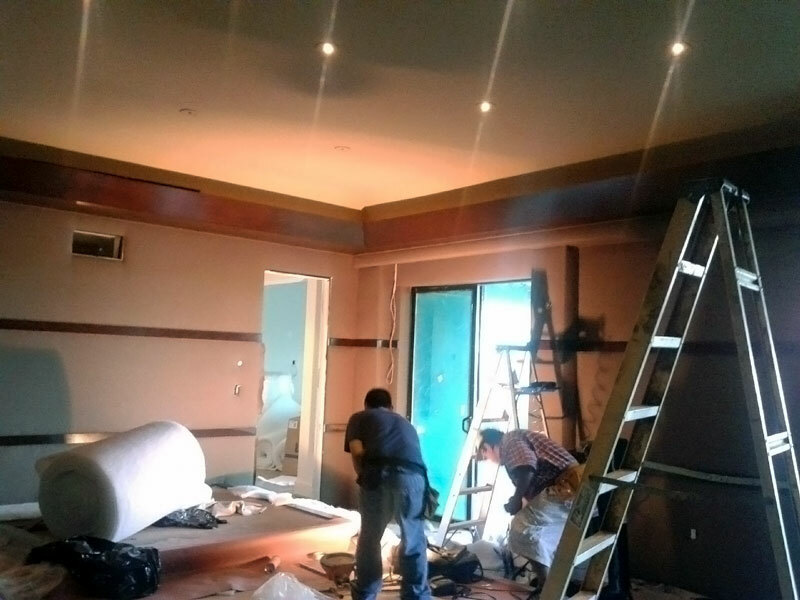 With plenty hard work we perform our job basically in tufted, padded and pleated any commercial or residential house wall. Wall phonic or thermal isolation for all commercial and residential projects available. Serving from business to business with 100% Warranty and insured for your satisfaction.